The photographers of the American Colony were a peripatetic bunch, traveling not only the length and breadth of the land of Palestine, but also to neighboring areas of Egypt, Syria, Jordan and Iraq. 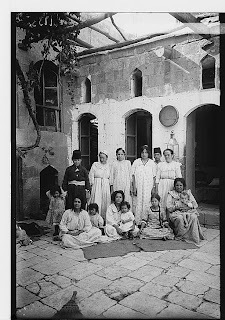 The American Colony photographers took pictures of Jewish communities as they traveled throughout the Middle East, including Alexandria, Damascus, Constantinople (Istanbul), and the Kifl (Iraq), the site of Ezekiel's tomb. Subscribe to Israel Daily Picture. Just enter your email in the box in the right column and click "submit"
The Jewish community of Aleppo may date back to Biblical days, with some claiming that it was Aram Tzoba mentioned in the book of Samuel. The classic Aleppo Codex was an ancient and complete text of the Bible cited by Maimonides as the most authoritative text. Aleppo was the destination of many Jews expelled from Spain in the 15th century. But Aleppo was no safe haven. Pogroms and blood libels plagued the Jewish community. 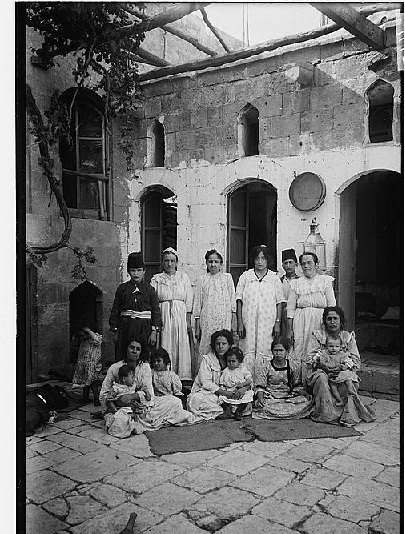 In 1947, after the UN partition vote, a pogrom devastated the Aleppo Jewish community. 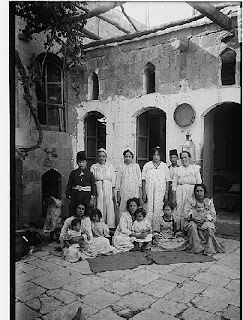 After Israel's founding, the Syrian Jewish community was severely persecuted. Virtually the entire Jewish community left Syria in recent decades. A large community of Syrian Jews lives today in Brooklyn, NY.